502 views as of Apr 15, 2012. 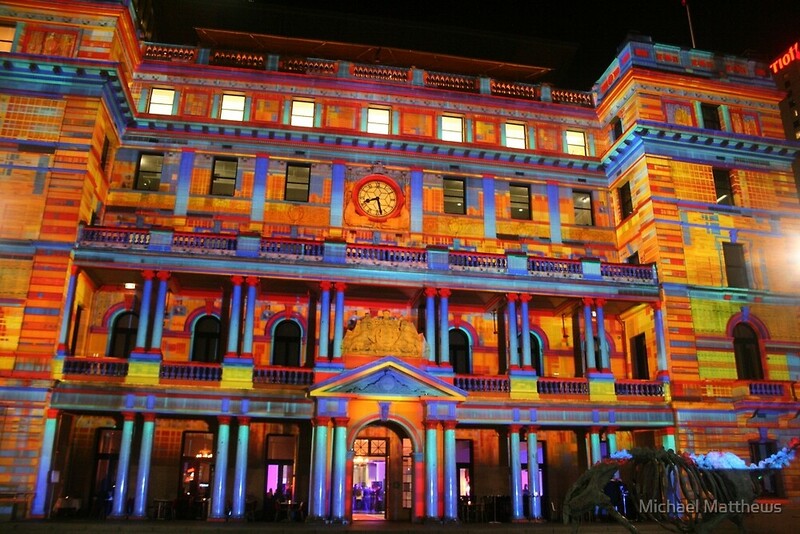 Customs House near Circular Quay is transformed into a colourful & clever display of art as part of the Vivid Sydney Festival 2011. Large-scale image projection experts The Electric Canvas transform this iconic sandstone architecture with a series of 3D-mapped animation sequences. Unfamiliar Customs was created entirely on a virtual model using powerful computers. This one you need to see for yourself to get full value. I had to get a closer view to avoid the people & projectors. This is Circular Quay in Sydney, NSW, Australia. Photographed with a Canon 400D. Nice mate ! Was a great place to photograph Aye! ! Thanks David. Sure was. I was hoping to show off the dinosaur (bottom right), to my niece’s boys but it wasn’t there last night when I took them. So clever! T’would be a sight to see! Thanks for the compliment & fave Donna. This one needed a video camera for full effect. A clever & beautiful piece of dynamic art! Sure was Tony. Thanks for the visit. Thanks Mike. It was hard to choose just one, but I think Redbubblers are starting to get overdosed on Vivid. Great shot Michael. It is great the way they did this. Just gave you the link to a short video but if you were there you know all about it. All the best. Thanks Alwyn. It was great hearing the reactions of the crowd as well .. especially the kids. The Vivid festival is about the colours and radiance that the light brings to the display. You have captured them brilliantly with this one. Thanks for the compliment & fave Anthony. It sure was a great spectacle. (as on the columns etc. in this shot) is absolutely amazing ! Thanks Trish. You should have seen the rest of the show. Those guys did a great job. Thanks for the compliment & fave Lorilee. Thank you very much for the feature .. & for making me a featured member. Love the title..lol. nice work. Thanks Waz. I didn’t see yours till after I put this up. I think I’ll change it now.